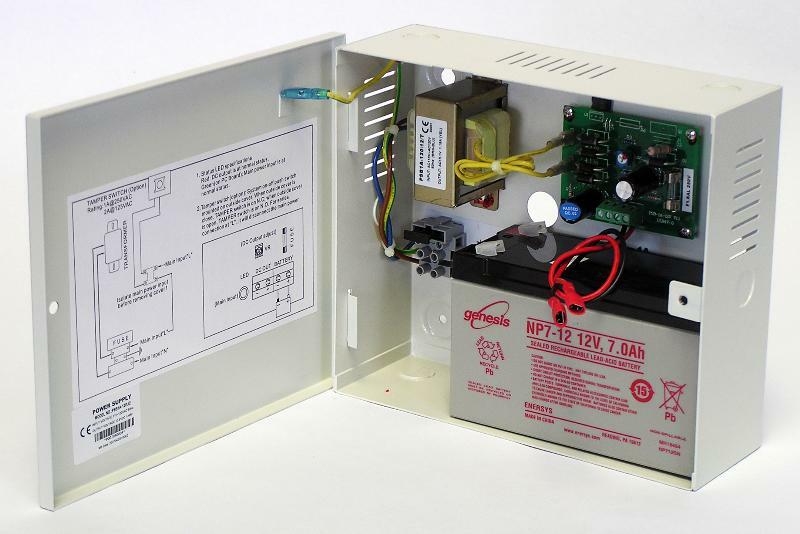 This Sentry Electronics Labs Power Supply Unit provides the most reliable power source for any electromagnetic locking device or other electronic door accessory. The low voltage unit runs off a 12 V backup battery (not included), which is charged by the included transformer. The transformer allows the unit to be used without having to run unsightly wires; it also protects the power supply since the wires are contained within the protective box, so they can't be cut or otherwise compromised. Similarly, the backup battery ensures that the security of the electromagnetic locking device is not compromised during a power outage; it will continue to power the locking device until its charge is depleted. Without the backup battery, the locking device will cease to function during a power outage, compromising the security of the building or restricted area. Finally, installation is made simple with included hardware, and even an extra fuse.